“Are you really a Phillies fan?”, he asked as he stood before me with a look of discomfort. It was a question and look I have become all too familiar with. This kid, about 17 years old, glared at me, awaiting my answer. I firmly replied. “Yes, I am.” I mean, what did I expect? Here I was, decked out in my Phillies gear in the heart of the Bronx during the middle of the 2009 World Series. 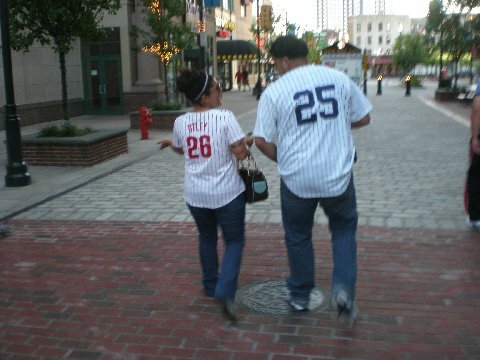 And I was still wearing my Phillies gear proudly the day after the Yankees had taken game 6 to win the World Series. So am I really a Phillies fan? Yes. I am.